Christmas just isn’t Christmas without our beloved Christmas carols. Doesn’t matter how old you are, nearly everyone knows the lines to at least a few Christmas songs. Getty Images/Thought Co. Source: Getty Images/Thought Co. The very first carols commemorating the birth of Jesus were written in Latin in the 4th or 5th centuries, but it wasn’t until nearly 10 centuries later that they became associated with the Christmas tradition. 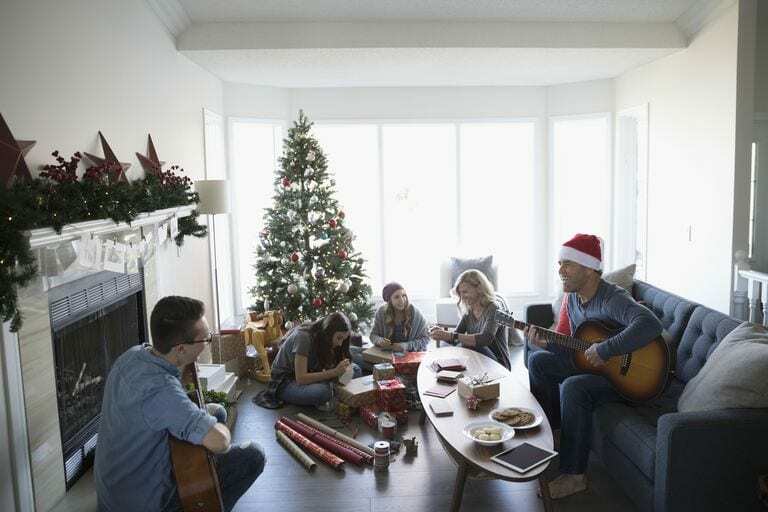 Today, people sing the classic carols in their living rooms and sometimes even on the street for passers-by and neighbors. 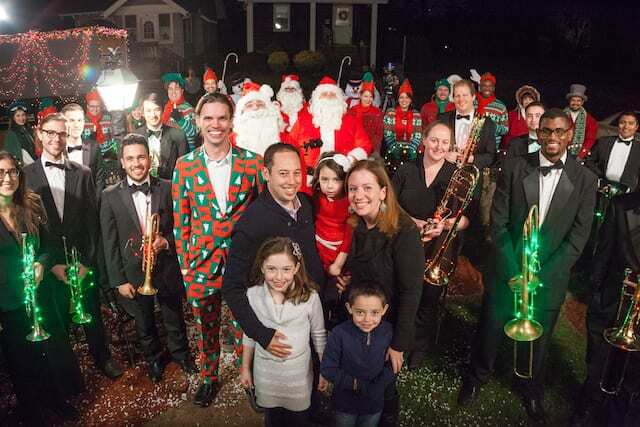 But in this elaborate video, one lucky family gets a special caroling show. 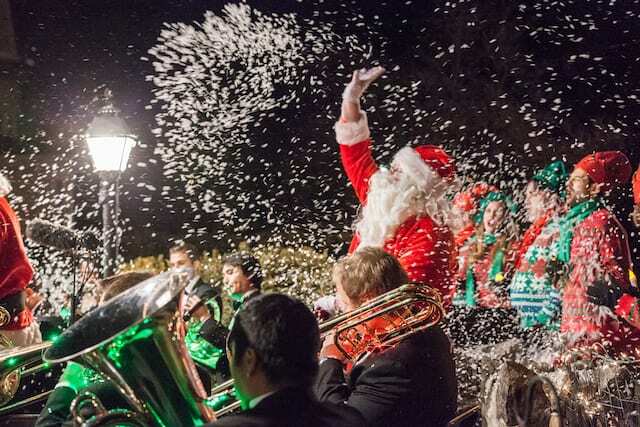 Improv Everywhere had the caroling idea in mind for a few years, but when Target approached them to create a sponsored holiday video, they knew it was finally time to put it in action. 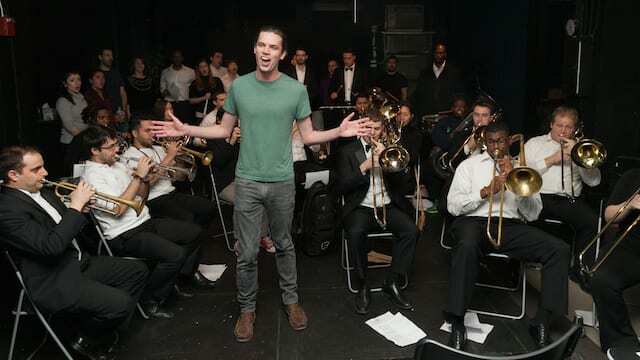 Recruiting a 20-person brass orchestra and a 13-member choir, Improv Everywhere wanted to surprise a family with a full-scale caroling performance. Instead, the group put out a call to local families to have holiday photos taken. Those interested were directed to a suburban home and left to wait in the waiting room. A producer informed them other families would be arriving and asked them to open the door if the doorbell rang. Once the family was alone and seated, it was time for the big surprise! 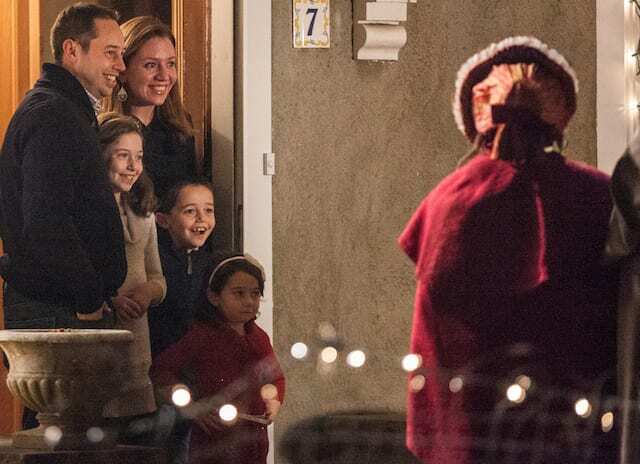 In the video, you see the Schriber family answer the door to five carolers clad in Victorian attire. 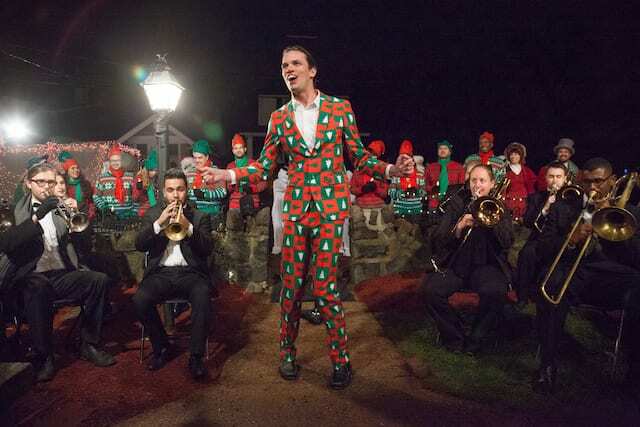 The group sings a few verses of “Deck the Halls” before another 10 people, wearing Christmas sweaters and elf hats, line up in the back. 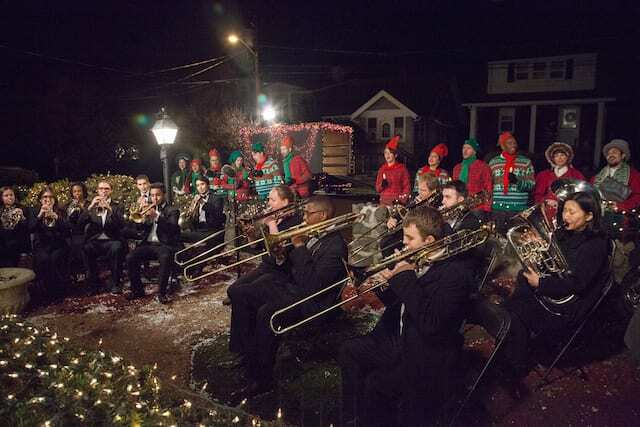 Then, the box of a moving truck opens, and the brass choir sets up and begins playing in the front yard. Soloist Aaron Jackson appears and starts singing. And people dressed as Santa and Frosty run in from the back. 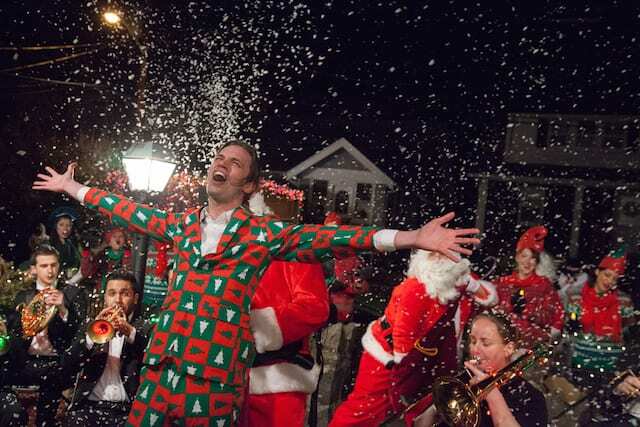 Since being uploaded, Improv Everywhere’s epic caroling video has been viewed 1.7 million times.